Digital pharmacy startup ScriptDash is getting a new name today, along with $23 million in Series B financing. The startup will now go by Alto to reflect its intention to go beyond just delivery. 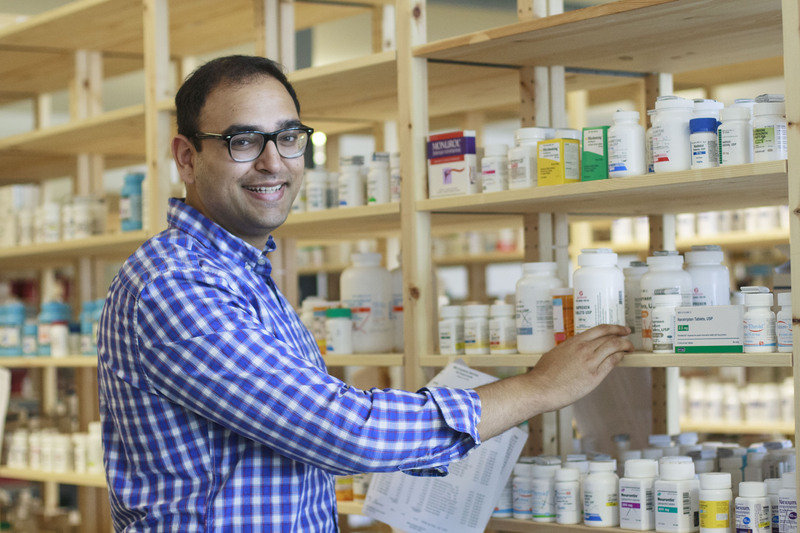 “Alto’s latin root means ‘elevated’ or ‘tall’ and we’re trying to elevate the pharmacy experience,” co-founder Mattieu Gamache-Asselin said. “Doctors and technicians call each other day in and day out trying to coordinate something but they need a technology platform,” Gamache-Asselin explained over the phone. Of course, Alto isn’t the first trying to solve the communications issues for doctors and pharmacies. ZappRX, a Boston-based startup in the same space, started out with a mobile solution to an archaic fulfillment infrastructure still pervasive within the modern pharmacy; Capsule is a drug delivery startup out of New York working to modernize prescription fulfillment and Zipdrug is another that comes at it as a sort of Postmates for prescription delivery. Each have their strengths and tackle the issue in different ways. However, Alto’s course of action is to modernize on the backend and onboard providers to use the startup’s new pharmacy communications platform. That move could likely boost Alto’s sales going forward. Prescription refills is a very small percentage of the pharmacy biz, according to Alto co-founder Vlad Blumen. He says walk-ins and postdated prescriptions are where we see the most action. So, if Alto is to grow, it needs to rely more on the doctors sending new or infrequent prescriptions through the system to fulfill orders. With that in mind, it makes sense for the company to build a backend terminal to fulfill orders rather than focus just on prescription delivery. Greenoaks Capital led the round, with participation from Jackson Square Ventures, Rahul Mehta of DST, Craig Sherman from Meritech Capital, Justin Kan from Y Combinator and Twitch, and his brother Daniel Kan, Cruise COO.